I am a Director of the Department of Botany and Zoology at Masaryk University, one of the leading centres of research and education in the field of ecological and evolutionary biology in the Czech Republic. 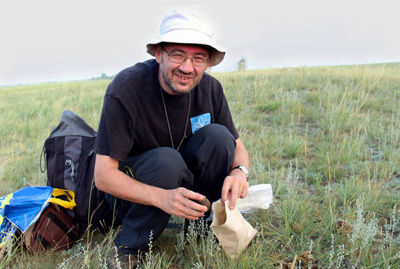 I am a Head of the Vegetation Science Group at the Department of Botany and Zoology, Masaryk University. Our group is involved in various national and international projects of vegetation research. In teaching, we emphasise practical skills in field vegetation sampling and application of up-to-date methods of data analysis. I am a Secretary of the Working Group European Vegetation Survey (EVS) of the International Association for Vegetation Science (IAVS). This group unites leading European experts in vegetation survey, diversity of terrestrial habitat types and phytosociology. Our aims are to support vegetation survey activities in Europe and beyond and to develop a consistent overview of European vegetation. I am also a coordinator of the European Vegetation Archive, an integrated database of European vegetation plots, which provides an important source of information for research and application at international level. I am a Chief Editor of Applied Vegetation Science and Journal of Vegetation Science, official journals of the International Association for Vegetation Science (IAVS). With an international team of editors, we are developing these journals as leading international publication platforms for outstanding research in plant community ecology, including its application in nature conservation and ecological restoration. I am a Vice-President of the Czech Botanical Society, a national scientific society that has united, since its establishment in 1912, professional and amateur Czech botanists. Throughout its history, this Society significantly contributed to the high level of Czech botany in the national and international context. I am also working for the leading Society’s journal Preslia.